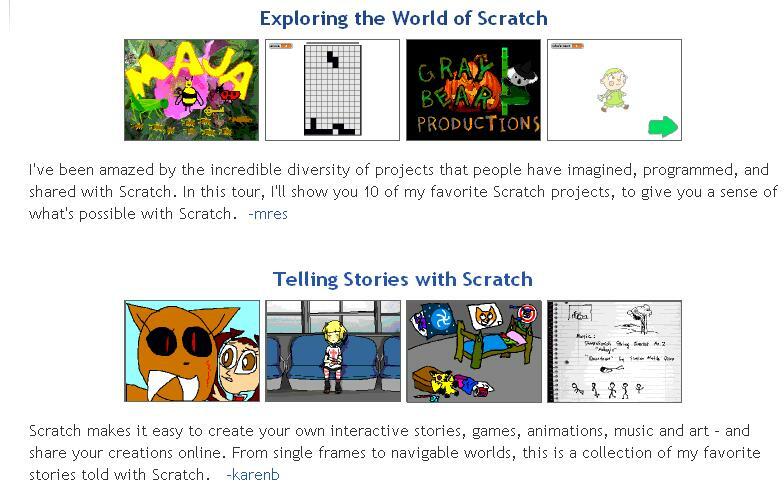 Update: July 30, 2014 Scratch Junior (scratchjr.org) was just released for the iPad today, and it’s FREE. Thx @360Kid for sharing that news! Original Post June 13, 2011: I get far too geeky and jargon-ish when it comes to enthusiasm over kids’ science, technology, engineering, and math innovations, (STEM) in hopes of engaging and retaining girls in the field, so I’ll cap the assumptions and start from scratch when speaking about SCRATCH. 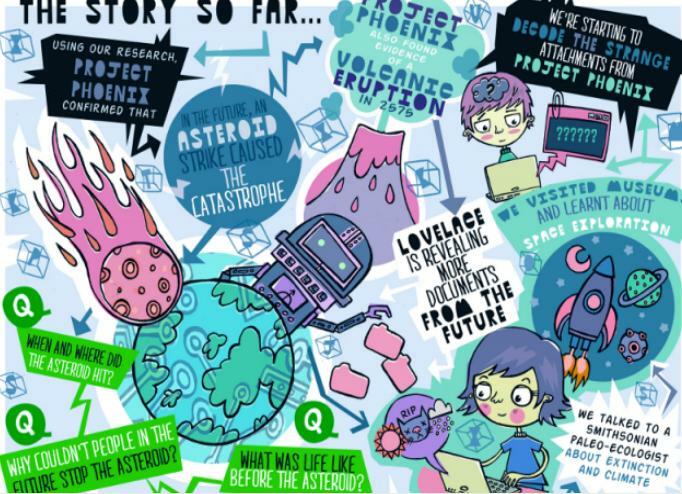 Based upon research from National Science Foundation and hubbed at MIT Media Lab, this freebie fun fest for kids 8 and up enables programming basics in a language that’s kid-friendly without complex coding gobbledygook. Kids can fool around with sound, stories and artistic expression that also bring in important mathematical, reasoning, and computational, collaborative play. It’s the ‘learn without feeling like you’re learning’ hook, a key part of our Shaping Youth strategy of 21st century child-led discovery instead of preach-n-teach drill-n-kill absorption. I’m convinced it’s part of why our own hands-on demos and counter-marketing works so well…we seed the concept, kids take it and run with it to create their own interpretation and conclusion. Essentially, that’s scratch in a whisker twitch. Using a mouse, “Scratch replaces complex computer codes with building blocks, Economist.com wrote. “…By dragging blocks on to a desktop area and stacking them on top of one another, a person with no programming skills can, with a few minutes practice, create a dancing cat that changes colour and meows…” Take a peek, the end result is very cool. Kids jump right in before they’re pre-conditioned to be intimidated by “what they don’t know” in tech, and instead get their hands-on, experiential show-n-tell sharing, while also being able to see their work ‘up in lights’ so to speak, posted for any and all to comment upon. Pretty cool when all you need is the ability to read and some basic familiarity with building blocks and the power of play…On a deeper level, it has the potential to create a ‘gateway’ effect to start asking “How stuff works” by diving beneath the surface and understanding technology, rather than just using it. It’s a great way for kids to be able to discover new media forms, experiment with their own moving art, sound, designs and learn to share peer to peer, while learning about programming, branding, conceptualization, collaboration in an informal play style of STEM skills exploration. Slick hmn? Stay tuned for an interview with 11-year old Rylan who shows her prowess about Vanished and perhaps even provides the upcoming attendees of the ISTE 2011 conference June 26-29 2011 some food for thought in terms of exciting ways to engage girls in science without being cheesy, overly geek chic and sustainable to step out into sequel format…Love the concepts. Fresh. Innovative. And unequivocally fun. What are yours? And what will you create from Scratch? The Lincoln Logs of the 21st century? 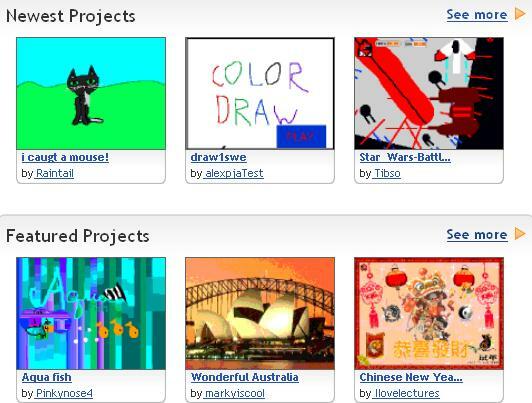 Here are a few sample ‘tutorials’ to show you how the ‘blocks’ of Scratch code work. These are simple basics (vs storytelling and sophisticated movies/animation) but you can easily see how much fulfillment kids can have seeing their work come to life with free, easy, ‘building blocks’ of STEM. a friend of mine told me about this Scratch thing 2 days ago….and now I’m reading all about it in your blog! it seems like a great tool for child’s development! Larissa recently posted..Why not make yourself feel better! This looks incredible. I can’t wait to play (I mean, let my kids play)!